VICTORIA, B.C. — Women belong in baseball — and women certainly belong in the trades. 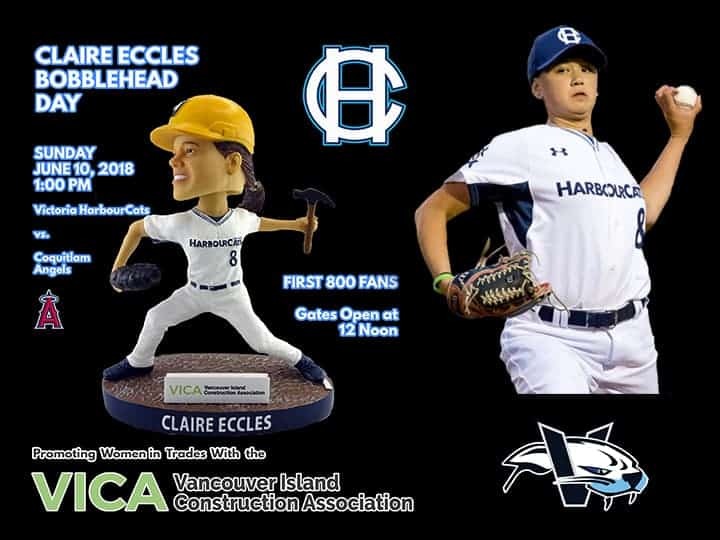 The Victoria HarbourCats and the Vancouver Island Construction Association (VICA) have partnered together to bring you “Hardhats in the Ballpark” and are pleased to announce that a limited-edition Claire Eccles bobblehead will be given away to the first 800 fans through the gate prior to the game on Sunday, June 10, at Wilson’s Group Stadium at RAP. 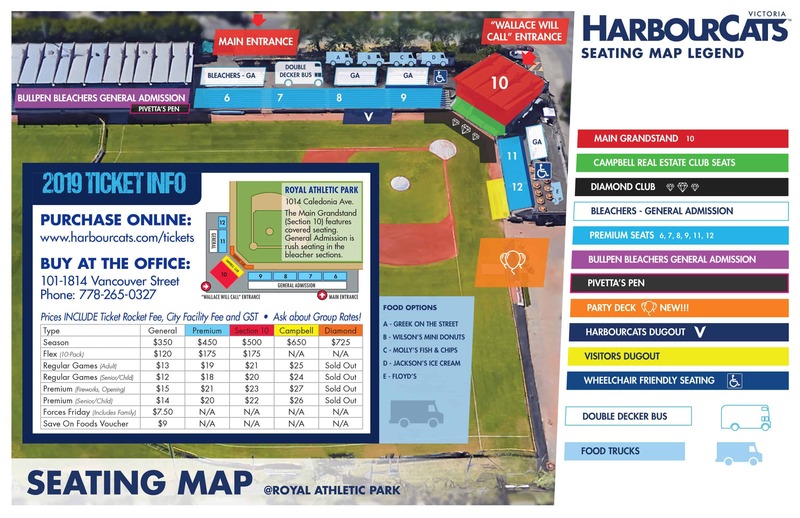 The game is a 1:00 pm start, against the Coquitlam Angels in a preview of the Baseball Canada Men’s Championship, which arrives in Victoria again in August. Eccles, entering her second year as the only female to play in the West Coast League, is excited to see the bobblehead unveiled on June 10. The head bobbles — so does the ponytail! This family event will showcase the various elements of the construction industry and the young men and women who are working in the trades as apprentices. “We are very pleased to have the HarbourCats and Claire show such great support in promoting women and youth entering the trades,” said Kulmala.